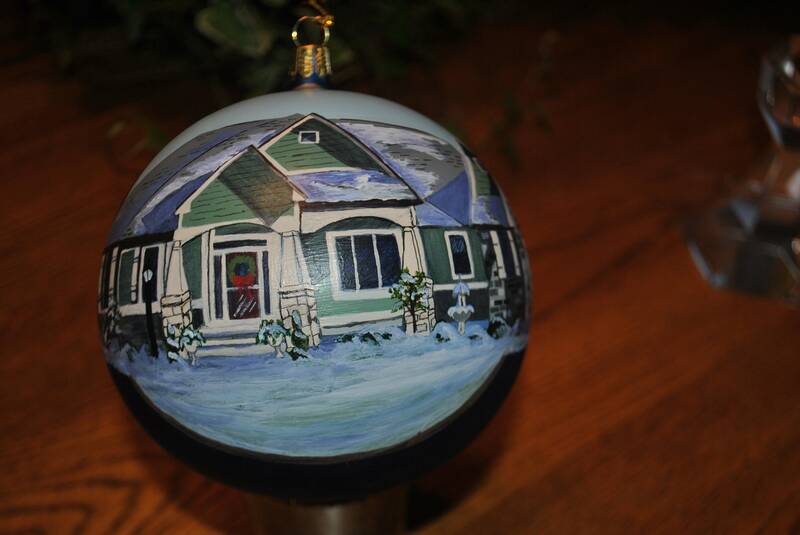 Handblown Glass Custom Ornament 4.75 in diam. 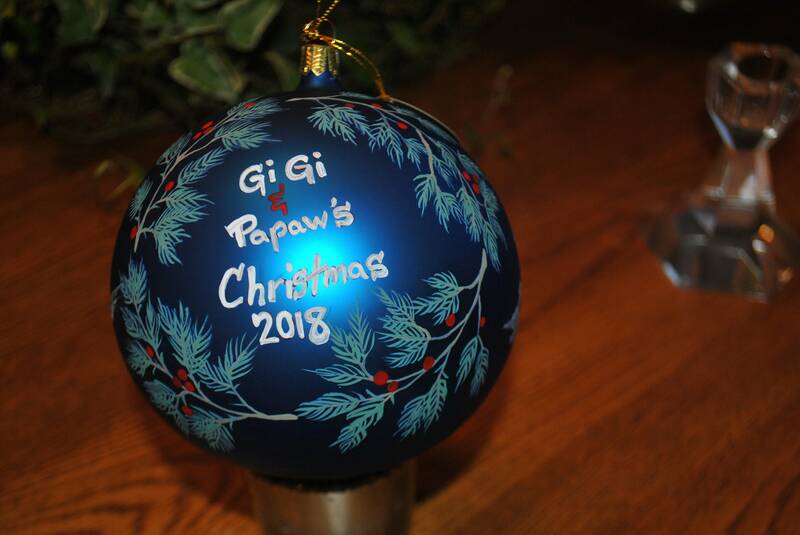 special order hand painted - sold. 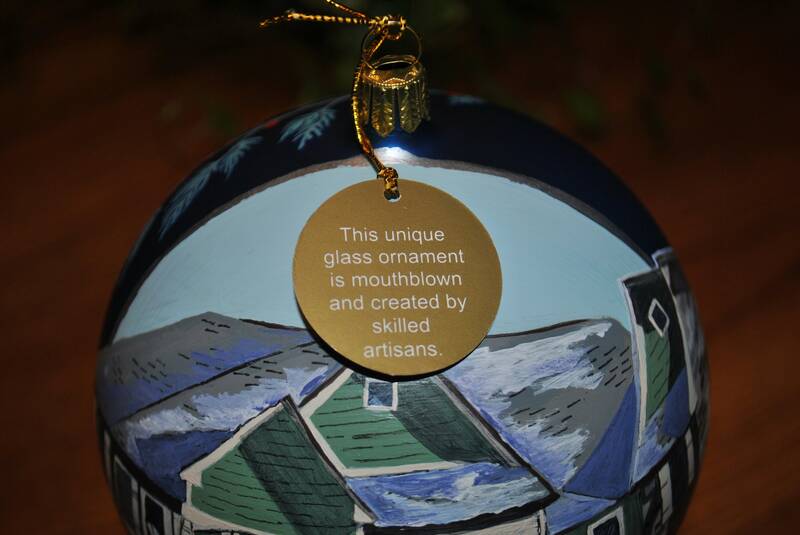 Handblown Glass Custom Ornament 4.75" in diam. 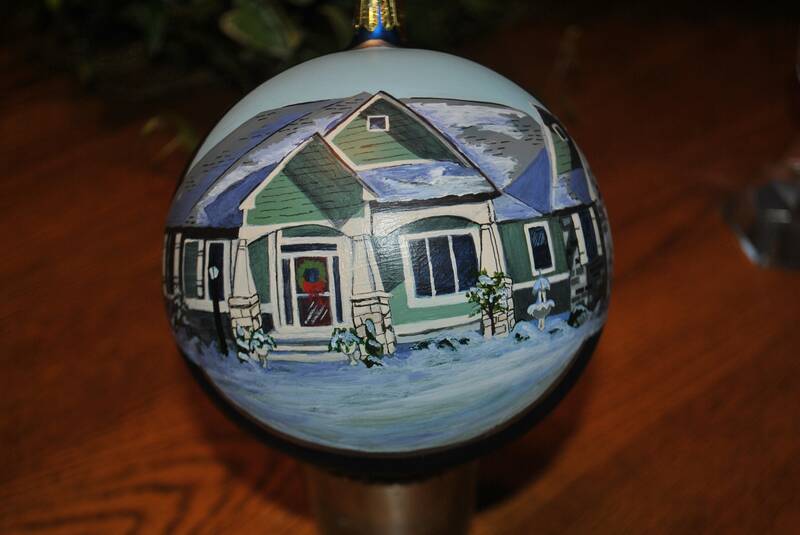 special order hand painted - sold. 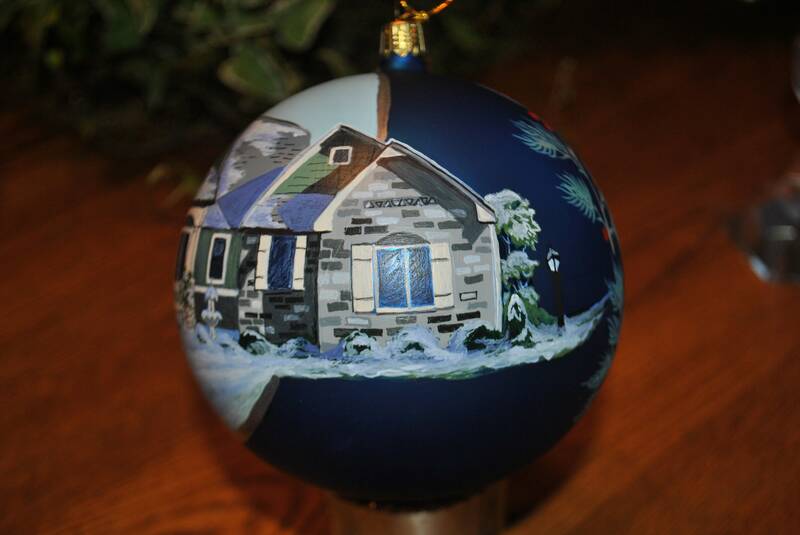 This hand painted Home Ornament is painted on a Mouthblown Handmade Glass 4.75 blue glass ornament from Germany. 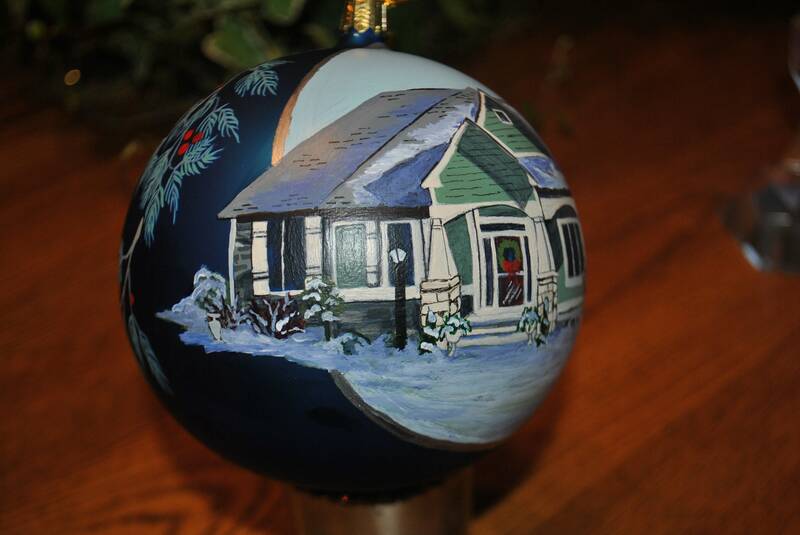 if you are interested in a home ornament as a Birthday, Housewarming, or Christmas gift just email me your pic. and we can discuss cost and lead time.